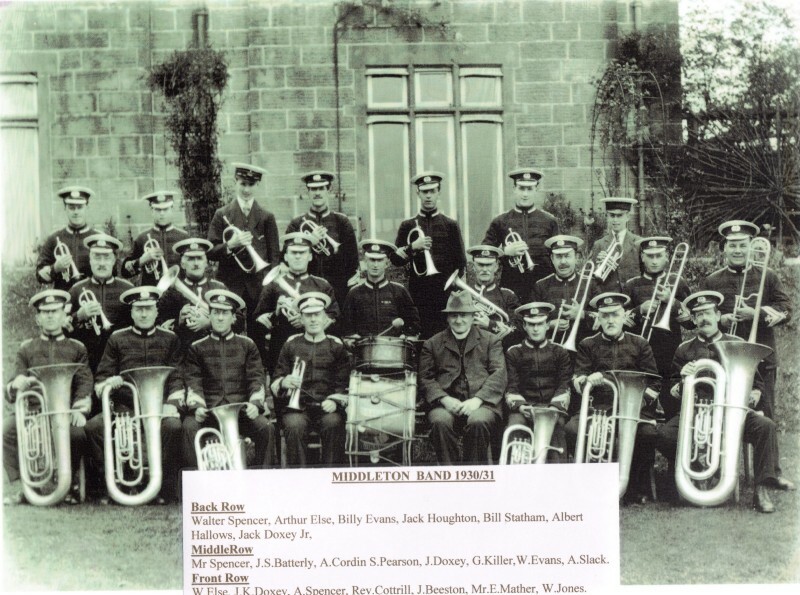 Brassington Village has had a band since at least the celebrations of George III coronation in 1761, and probably for very much longer. Inter-war photographs show the bandsmen, sometimes in uniform with pecked caps, sometimes not, leading parades through the village. They played at many outdoor events. 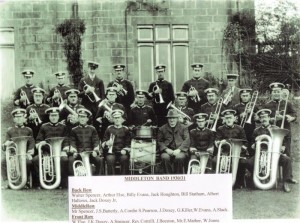 The Village Hall Committee accounts, show a payment to Brassington Silver Band of £3-10-0d for playing at the Wakes in August 1946. The band appears in the accounts regularly thereafter for similar fees and by 1950 the fee had risen to £5-00-0d. The band was however short of bodies and found it hard to find enough players to lead a parade or take on a concert. In 1964 Brassington Silver Band amalgamated with the Wirksworth and Middleton bands to form the active Brassington, Middleton and Wirksworth Band, B.M & W Band, practicing at Wirksworth today. This band formed around the time of Queen Victoria’s Diamond Jubilee (1897). It played for many years at home matches as the baseball ground and competed in 1962 in the Junior Cup at the Belle Vue Spring Brass Band Festival. 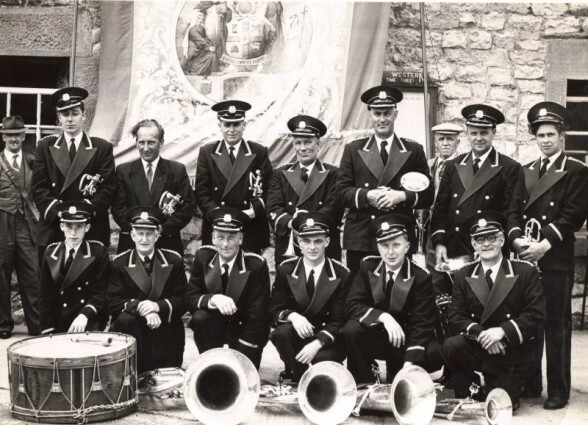 In 1964 the Middleton Victoria Silver Prize Band amalgamated with Basssington and Wirksworth bands to form the active Brassington, Middleton and Wirksworth Band, B.M & W Band, practicing at Wirksworth today.